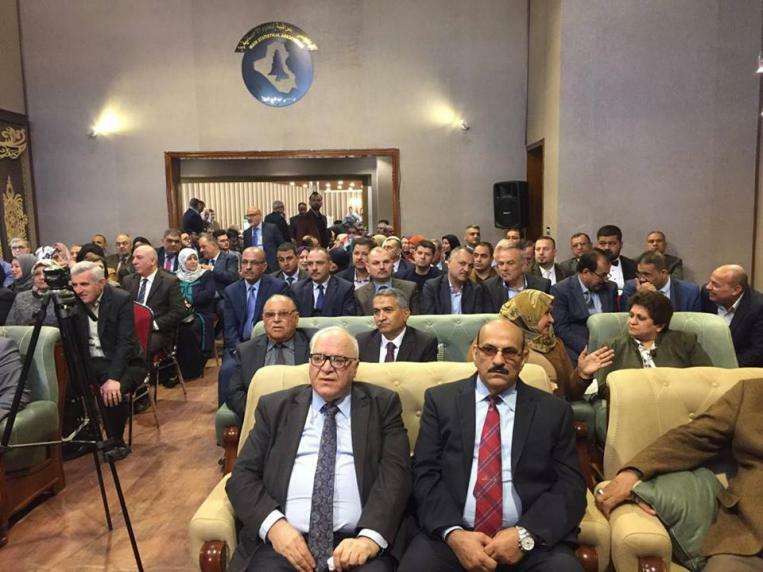 The Chairman of the Central Bureau of Statistics, the Chairman of the Board of Directors of the Iraqi Society for Statistical Sciences, Dr. Diaa Awad Kazem participated in the opening ceremony of the permanent headquarters of the Association in the presence of a large number of officials and university professors and statisticians working in statistical departments in ministries. The establishment of a permanent headquarters for the Iraqi Society for Statistical Sciences is the largest achievement achieved by the administrative body since the establishment of the Association in 1985, the statisticians had no place to combine them to practice their social and scientific activities like other professional and scientific associations and unions. The Association is keen to take care of statisticians and meet their needs and provide support to the Central Bureau of Statistics in the training and development of the skills and expertise necessary to exercise its role in the availability of economic and social indicators.